Now that the 2011 season is over – and it was such an astounding success – we are now returning to the ongoing daily work of processing, analyzing and publishing the finds from the excavation. 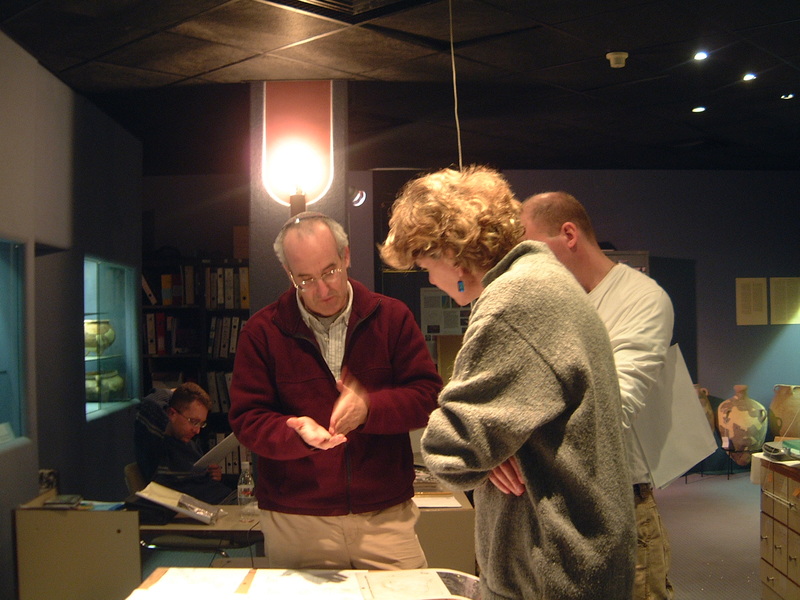 As you may already know, this entails a large array of different analyses and work, ranging from data entry, finds restoration and conservation, illustration of finds (drawings and photos), drawing architectural plans and sections, and conducting various scientific analyses (such as Carbon 14 dating, analysis of bones and botanical remains, chemical analyses, metallurgical analyses, etc.). For this, a team of researchers work around the year in the project lab at Bar-Ilan University and in other institutions. Needless to say, this is an expensive, but necessary, endeavor, costing tens of thousands of dollars between seasons. 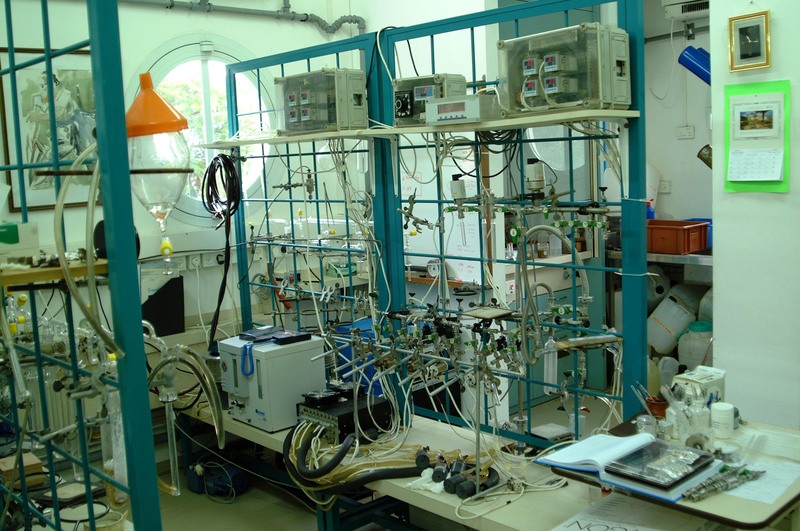 Here is a view of the Carbon 14 Dating lab at the Weizmann Institute. Each sample sent for dating costs several hundred dollars to process! 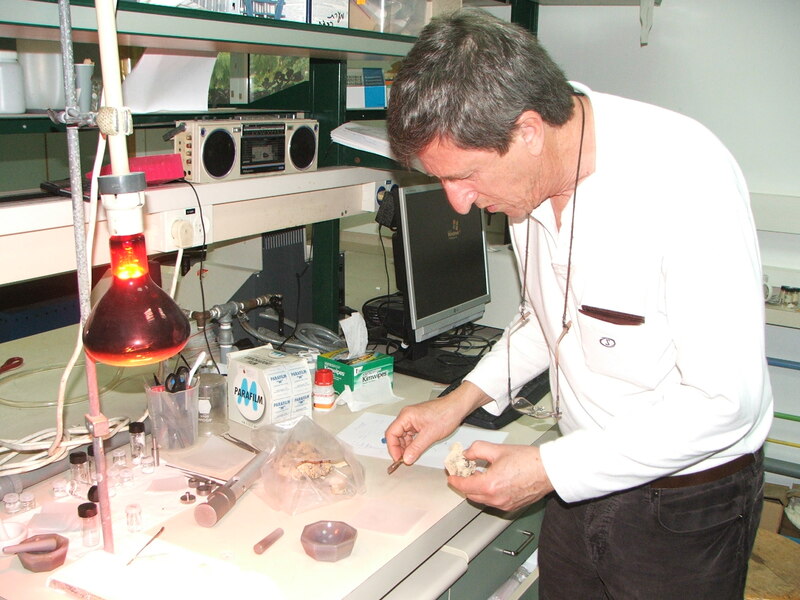 And here is Prof. Steve Weiner, of the Weizmann Institute, preparing a sample to be analysed in the Infrared Spectrometer – to determine the composition of one of the finds from the excavations. Here I am discussing some of the zooarchaeological finds with Liora Horwitz (primary project zooarchaeologist) and Justin Lev-Tov. 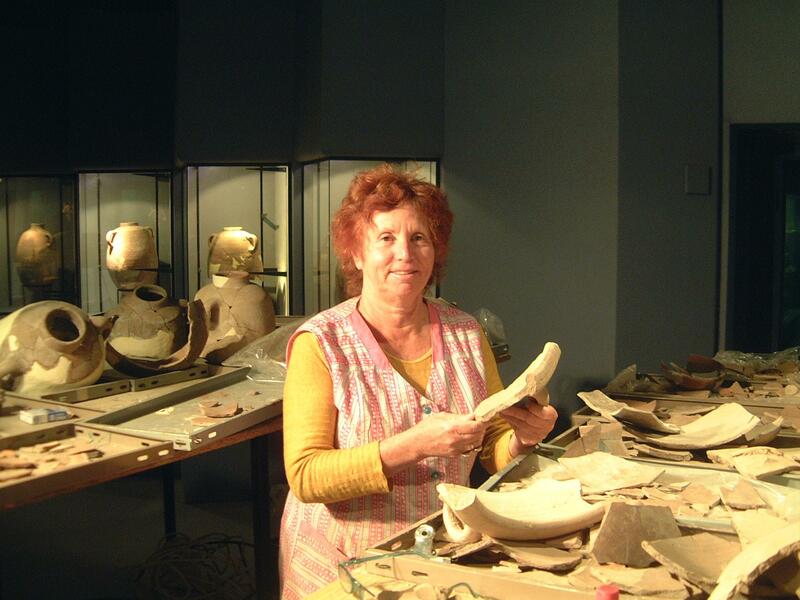 And here is a picture of pottery restorer, Dina, as she labors to put together the astounding jigsaw puzzle on which she regularly works! This is where many of you can be of great assistance. Whether you participated in the excavations (during this and previous seasons), whether you plan to excavate with us in the future, or whether you joined us in spirit (especially through the regular updates on the blog), you can continue to participate in the work on the finds, and be a de facto team member, by helping us out through donations to the project. Even a small donation would be much help – since just as the costs of each and every analysis add up – and so can the total sum of all the donations! Donations to the project can given through the “Israel Exploration Society” – which is a non-profit organization who is recognized for tax purposes. 1) Send a check directly to the “Israel Exploration Society” – stating that it is a donation to the Tell es-Safi/Gath excavations. Their address is: The Israel Exploration Society, 5 Avidah St., P.O.B. 7041, Jerusalem 91070, ISRAEL. 2) For those interested in donating and having it recognized as a donation for US tax purposes, please send your donation to: Mr. Geoffrey Stern, President, P.E.F. Israel Endowment Funds, Inc., 317 Madison Avenue, Suite 607, New York, N.Y. 10017, U.S.A., stating that it is a donation intended for the Tell es-Safi/Gath Archaeological Project, through the offices of the Israel Exploration Society. Please see this form for instructions on this option. 3) Send a check made out to the “Israel Exploration Society” to me, and I will deposit it in the Tell es-Safi/Gath account in the Israel Exploration Society. My address is: Prof. Aren Maeir, Dept. of Land of Israel Studies and Archaeology, Bar-Ilan University, Ramat-Gan 52900 ISRAEL. 4) Send me the details of your credit card and the amount that you wish to donate, and I will ask the Israel Exploration Society to charge the sum. My email is: arenmaeir@gmail.com. 5) Click on the “Donate” button on the upper right hand side of the webpage, to donate money to the project through “Paypal”. In all cases, an official receipt will be sent to you for your donation, and needless to say, unless you specifically request to remain anonymous, we will publicly acknowledge your contribution to the project.